Join the intense 12-week study programme that ensures digital entrepreneurial success. Whether you’re just starting your online adventure or have an existing business you want to improve, this is the place where you’ll transform your dreams and ideas into solutions that will get money to your – or your boss’s – bank account. Hundreds of amazing students have completed the entrepreneurial development programme, and are now living their entrepreneurial dream life or having their dream job. Are you ready to join the ranks of these successful entrepreneurs? This course intends to make your entrepreneurial dreams a reality, too. The Professional Diploma in Digital Entrepreneurship is a proven training concept which is continually adjusted and maintained so that it gets better and better. Things move quickly in this online universe and there is a new thing that pops up every single week. The hands-on programme modules prepare you to do the analysis and online skills required to launch and commercialise any business. As a student you are expected to join the programme with an idea for a start-up you would like to pursue, have an existing business or be employed by a company. The Professional Diploma in Digital Entrepreneurship is divided into modules that logically follow your company’s building progression. You should be prepared to work in a highly creative-minded environment that will challenge your skills and perseverance every day. Monday, Wednesday and Friday from 10:00 – 15:00. Some governments offer to fund the education partly or in full. The Professional Diploma in Digital Entrepreneurship is divided into 10 unique educational and business building modules. Learn how to design your business structure, legal matters, tax planning, build the right team and outsource tasks to the right people. Learn how to define a business niche and plan the necessary digital activities in order to succeed as quickly as possible. Learn how to be in the top results in search engines like Google to generate traffic and sales to your website. Learn how to use text with storytelling and emotional triggers that make people take action. Learn how to use still and moving visuals to support a brand’s identity. Learn how to build a list of subscribers and communicate using campaigns and automated flows. Learn how to target specific audiences on online advertising platforms with relevant and specific online ads. Learn how to analyze, evaluate, and test different versions of digital activities to optimize profits. Read what former students say. We have had the pleasure to teach and work with amazing people and here are some of their praises. The course gives you the image you need in order to gain success on the internet! Great being here, and you learn more than you initially expect.. I have personally saved a lot of money on tools alone.. I have never participated in a course where I have taken so much valuable knowledge with me. Professional teacher and very interesting material has made weeks of training super exciting. Your teacher and mentor is Ricco Mortensen. He is one of Europe’s most esteemed experts in digital entrepreneurship. Ricco is also a speaker, author, mentor and the Chairman of the Board at the Ricco Mortensen Foundation which is a nonprofit charitable foundation for digital entrepreneurs. Ricco is from Copenhagen, Denmark and now lives in Larnaca, Cyprus where he teaches at the foundation’s educational programmes. Ricco has built several digital businesses and has been advising both Danish and international entrepreneurs for more than 20 years. Thousands of people have witnessed Ricco’s unique teachings – learning how to successfully run a business, making it run on autopilot, which includes the setup of companies, tax optimisation, website creation, search engine optimisation, social media strategies, email marketing, online advertising, user behaviour, conversion optimisation, outsourcing, payment solutions, and clever ways to do anything and everything imaginable. The main focus is to teach you how to design your own cool entrepreneur life, to gain success from your online strategies and earn (a lot) of money in the process. 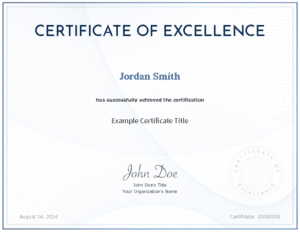 You will be issued a special digital diploma certificate from the company Accredible. The certificate will be available for life on its own unique online address. It will be emailed directly to you after completing and graduating from the study. You can instantly add it to your LinkedIn profile to show off your achievements to potential peers and perhaps future employers. The digital certificate can also be shared across social media platforms with one click. You can let people verify your new skills and proof of study completion. The diploma will be issued by the Ricco Mortensen Foundation. You might be able to have the Professional Diploma in Digital Entrepreneurship paid either partly or in full by your local government. This is depending on your country of residence. 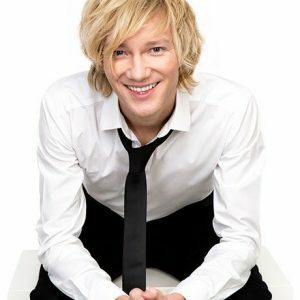 You’ll get unique one-on-one mentorships with your head teacher Ricco Mortensen where he will guide you exclusively with your business in mind. You’ll get a free test WordPress website, plugins, themes, software as well as huge discounts on a great selection of online services. A free one-hour confidential consult session with our in-house international tax advisor, which helps you structure your business setup in the smartest and most affordable way. Access to Amazon Web Services to use their online services to build special programmed online services, apps, databases, and more – for a 12-month period. A unique one of a kind mix of non-academic experienced international industry experts – teaching you real hands-on things that you can use and execute from day one in any type of business. Being able to actually learn and build a complete business online during the 12 weeks of the entrepreneurial educational programme and earn profits even before you finish. Build strong online concepts that will generate money on autopilot, run a business by outsourcing tasks to the right people while being able to design your laptop entrepreneurial lifestyle if you wish. You will get access to the closed online community where you can ask questions and get help from your fellow and previous students, as well as from your teachers. You’ll have lifetime access both during and after you’ve completed the entrepreneurial development programme. A once-in-a lifetime travel and study experience in Larnaca, Cyprus. Get more details about the study programme, lecture plan, funding options and read the full curriculum by downloading the brochure. I accept that the above data will be stored at Ricco Mortensen Foundation and that I will be contacted by e-mail and phone regarding the professional diploma in digital entrepreneurship.